Global rankings feature gets an update too! 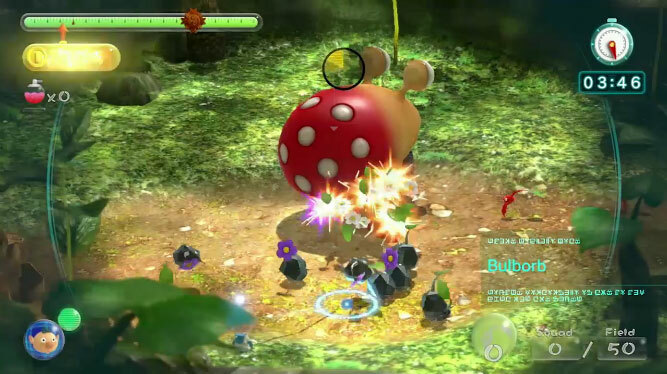 Featured in the latest Nintendo Direct, Pikmin 3 has received both its first title update and DLC pack that expanded on the solid co-op modes and the online leaderboard system. Among the many Nintendo announcements revealed in the video, Satoru Iwata mentioned that new Mission Mode challenges have been added to the current batch of “Collect Treasure!” levels. The new “Collect Treasure Pack” DLC includes challenges #7-#10, where up to two players must to work together to collect as much treasure as possible within a small time limit. While the full DLC costs the small amount of $1.99, however, gamers will be granted a single challenge level to play for free when they update their software. As with all Nintendo titles, DLC downloads must be made through the eShop channel found on the Home screen. Additionally, Nintendo has also improved the Global Rankings feature within Pikmin 3’s first title update. Before, players weren’t able to see exactly where they stood in the global rankings. This made it difficult to figure out how much better of a score would be required to move up. This update now shows other player’s high scores that they’ve achieved and gives everyone else a better idea of where they place on the rankings (points wise). Nintendo has made it clear that they do intend to provide even more DLC packs in the near future, so keep an ear out for more information to come. 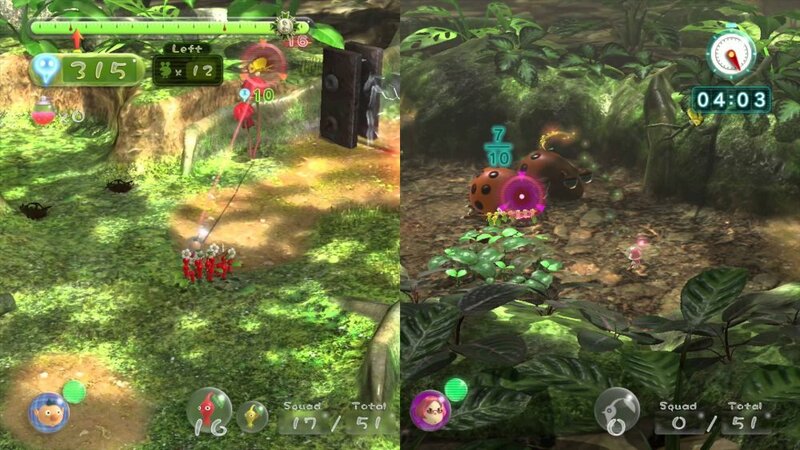 Pikmin 3 is a fantastic 2-player local co-op game and is available only on Wii U. Page created in 0.3112 seconds.